Funky Falafels: made from chickpeas soaked overnight, these Moroccan-inspired falafels are naturally gluten free and vegan. Enjoy them in a salad box or a lava bread wrap for a filling Saturday lunch and take home a variety of flavours for later in the week. Girish’s Vegan Indian Food: the name says it all really! 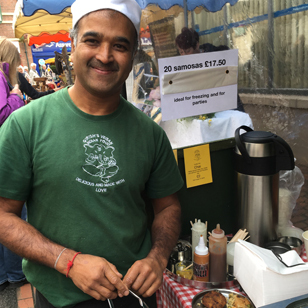 You can pick up a Saturday night takeaway curry here, including creamy dal and rice, warming samosas, tamarind relishes and vegetable curries, or mooch around the market with one of Girish’s onion bhaji wraps. 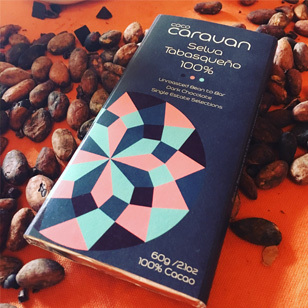 Coco Caravan: if you thought vegan food meant no more treats, Jacques Cop has changed all that with his fantastic raw chocolate bars. Made with ancient cacao beans and unrefined coconut blossom nectar, these bars are creamy, cocoa-ey and very cool. 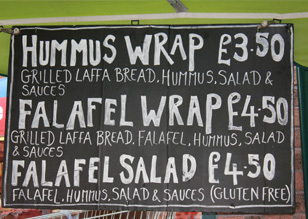 The Veggie Deli: alongside the vegetarian range of products is a growing range of vegan foods. These include inventive takeaway items such as chickpea frittatas, puy lentil polenta, kale spanakopita and veggie shepherd’s pie. 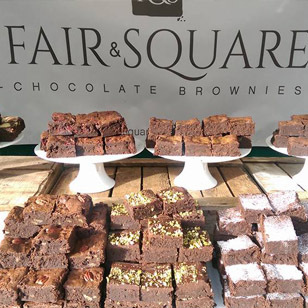 Fair & Square Brownies: brownie maestro Sarah Jaskowska is already famed for her utterly divine gluten free brownies, but due to popular demand has developed a vegan version of her best-selling flavours. Be warned – they are always a sell out! Saira’s South Asian Savouries: most of Saira Banu’s food is vegan which means your Saturday night curry just got even better! 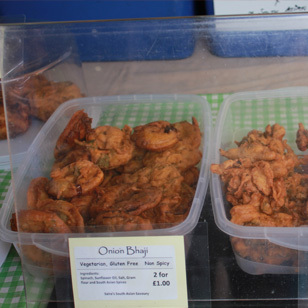 Stock up on the delicious samosas, pakoras and spring rolls, but make room for the innovative spinach and rhubarb curry too! 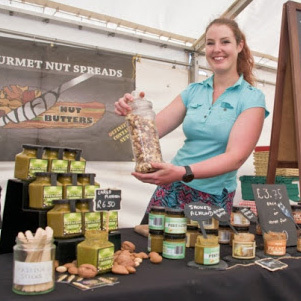 Nifty Nut Butters: naturally vegan, Alexandra Birchmore’s nut butters are a big hit at the market. Out of the 12 flavours, Salted Caramel Peanut Butter, Thai Spiced Peanut Butter and Pistachio Velvet are the best-sellers but make room for the new (gluten free) Cookies and Cream Almond Butter too. Stroud Brewery: all of the bottled beers found at the market are vegan and organic. This is because, unlike cask ales, which use a fish derivative to settle the yeast, Stroud Brewery’s bottled beers go through a filtration process to clarify them. 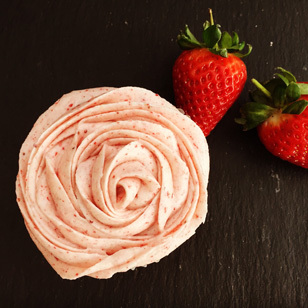 Jack Bakes: since becoming vegan in 2013, Sarah Jackaman has made it her mission to create light, airy, moist and gooey cakes that were just as good as non-vegan ones. And she’s succeeded, with her delicious carrot, chocolate, ginger and lemon cakes.